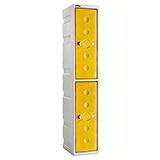 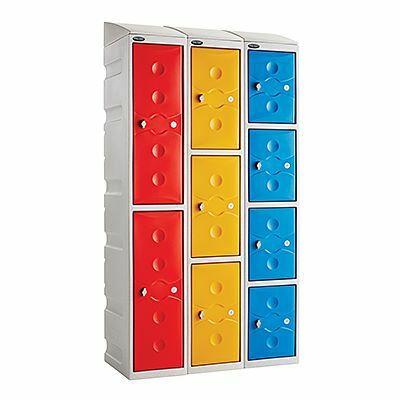 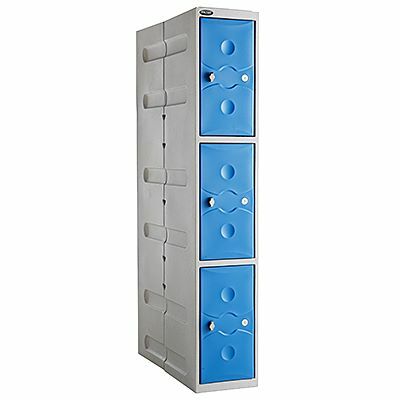 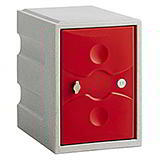 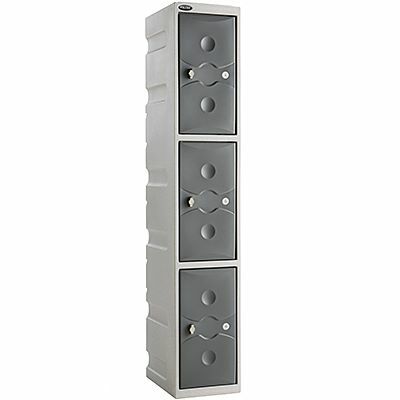 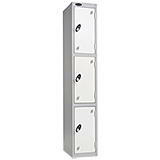 These plastic storage lockers have style and practicality in abundance, being usable in indoor and outdoor applications and a range of coloured doors to choose from. 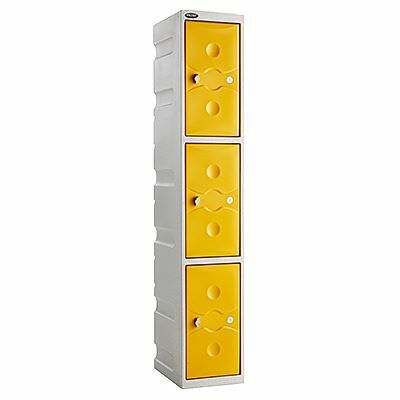 They’re also corrosion and graffiti proof and vandal resistant, and are supplied with a 10-year guarantee for your peace of mind. 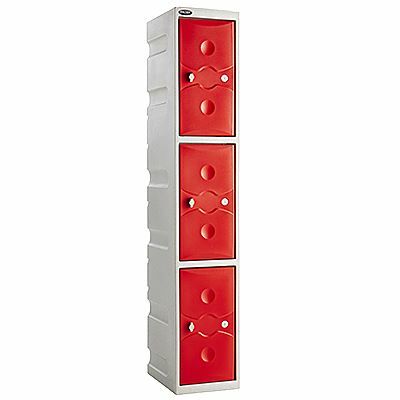 The ultra strong carcass has been fitted with handy drainage holes to the rear of the sloping shelf so that the inside of these plastic storage lockers can be jet washed when required.